Happy Thursday Evening and Welcome Back to What to do Weekends! You know you all brought so much talent, this last week, that Linda and I decided we had to do Four Features each instead of our normal Three!! Thanks you all so much for your Participation! We love seeing what you are all up to and How creative you all are. There is simply nothing more Inspiring! Thank you. With that said let me get the formalities out of the way! So, what have we been up to last, since we met? Well Linda has been busy! 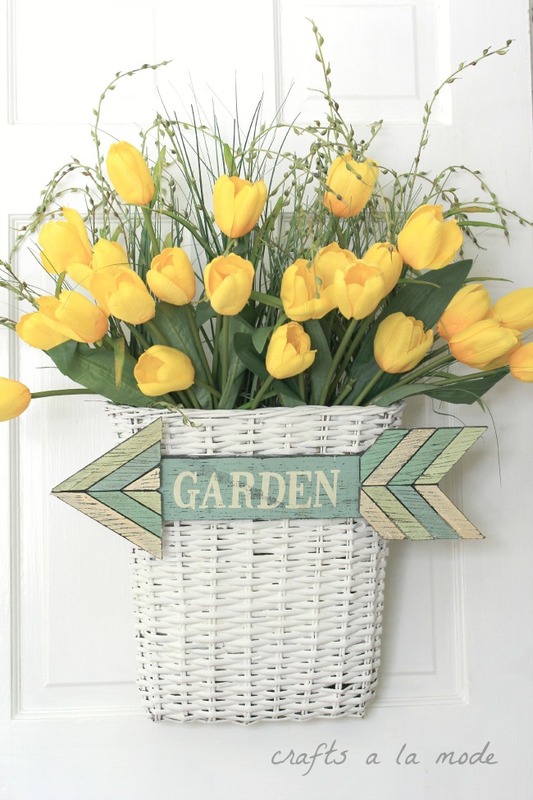 She had a few wonderful posts this week, you really should check out, but we thought we'd share her Beautiful Yellow Tulip Front Door Decor! And, Theresa, shared a Beautiful Walk in Her Mum's Secret Garden! ***Okay, now just Couple of Guidelines we'd appreciate you taking into consideration. ~You wouldn't link up the exact same post 2 weeks in a row, our readers will have just seen your entry and we'd like to keep it fresh for them. 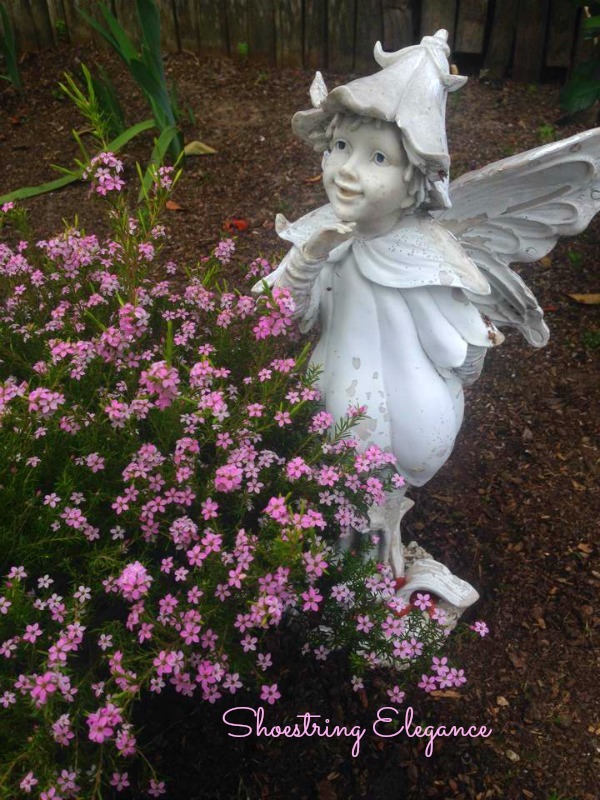 ~We'd love to encourage you to share some of your last year's Spring posts, too! Please, do have a look at Linda's & Theresa's blog style (or niche, so-to-speak) and link appropriate and like-minded crafts, recipes, projects and Inspirations! Jacqueline from Purple Chocolat Home Shared her Beautiful Peter Cotton Tail Tablescape! 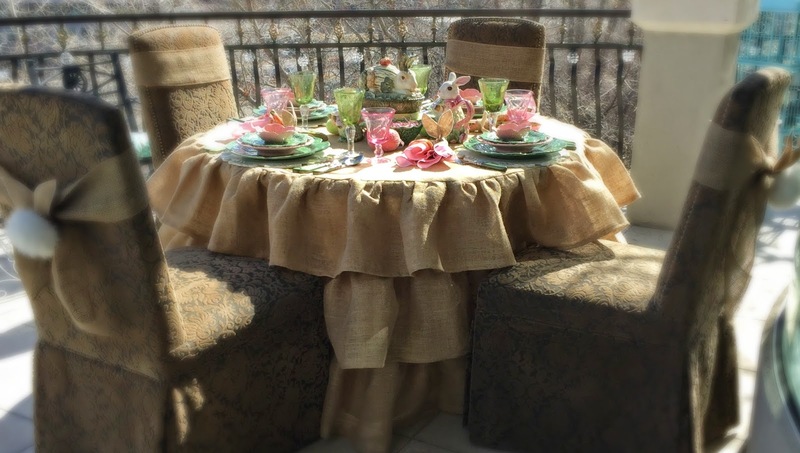 I could not get enough of the adorable ruffled Burlap tablecloth! Oh, and make sure to check out her cotton tail chairs!! So cute! 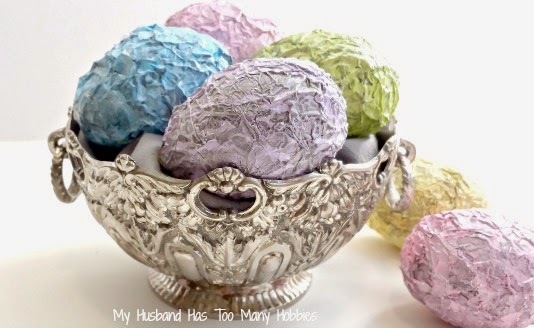 Bonnie, from The Pin Junkie made these adorable Speckled Easter Eggs!! So fun, again! Now, On to Linda's Picks!! 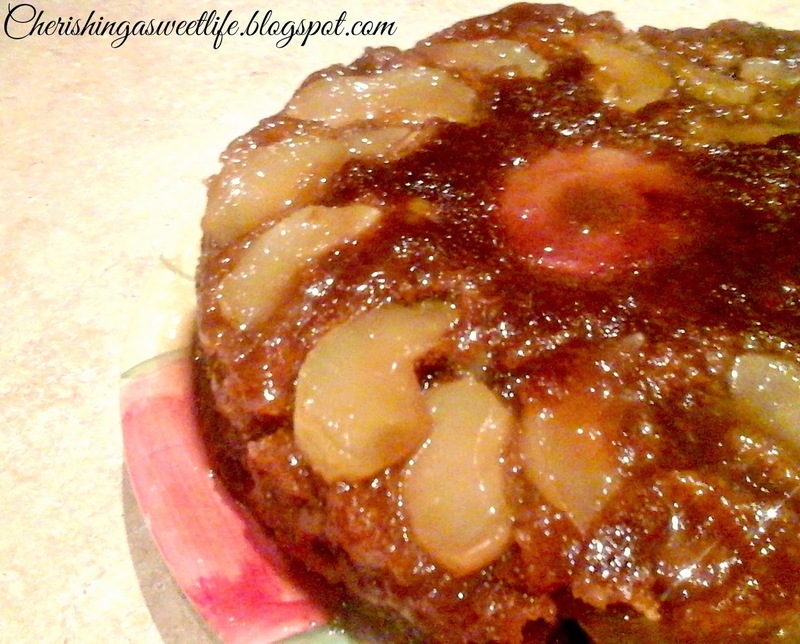 Christine' from Cherishing A Sweet Life's Maple Cinnamon Apple Upside Down Cake had us both drooling! And, her last, but not least, pick was Gail's Quick and Easy Denim Storage Baskets & Flowers from Purple Hues & Me! Hi Theresa! Thanks to you and Linda for hosting - happy Friday and have a wonderful weekend! 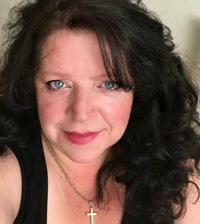 [ Smiles ] Hi Theresa, you have a beautiful blog here; I will be following it via my Feedly Reader and I have pinned your post on one of my Pinterest boards. I hereby wish you all the best with your blog! Thank you very much, Renard! Theresa, your features really are beautiful- In the Pink's teacup and tulips are my favorite, I think- I have a huge weakness for that style of "all over" print...chintz? Anyway, thank you for the party, and I hope you are having a wonderful week! Me, too, Joy!! Yep, Chintz! Rose Chintz. I have a few of them myself. Thanks for being a loyal blogging friend! Hi Theresa, I'm delighted to find that you have featured my shabby Easter Eggs! Thank you so much. Oh Laurie, definitely our Pleasure!! I hope you'll keep sharing your wonderful projects with us! Hi Theresa, It's a pleasure to have my Maple-Cinnamon Apple Upside down cake featured. Thank you very much! All the features look wonderful. 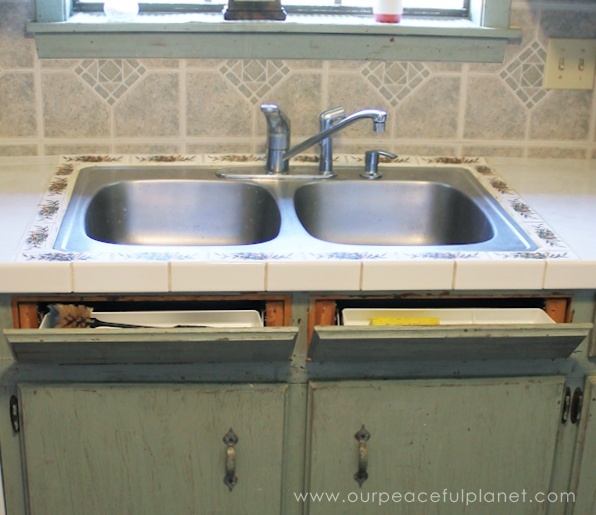 Thank you for hosting What to do Weekends- sharing! :) Hope you have a wonderful weekend! I am so pleased and we were grateful to have you @ our party! Definitely will be checking out your party,as well! Great features! 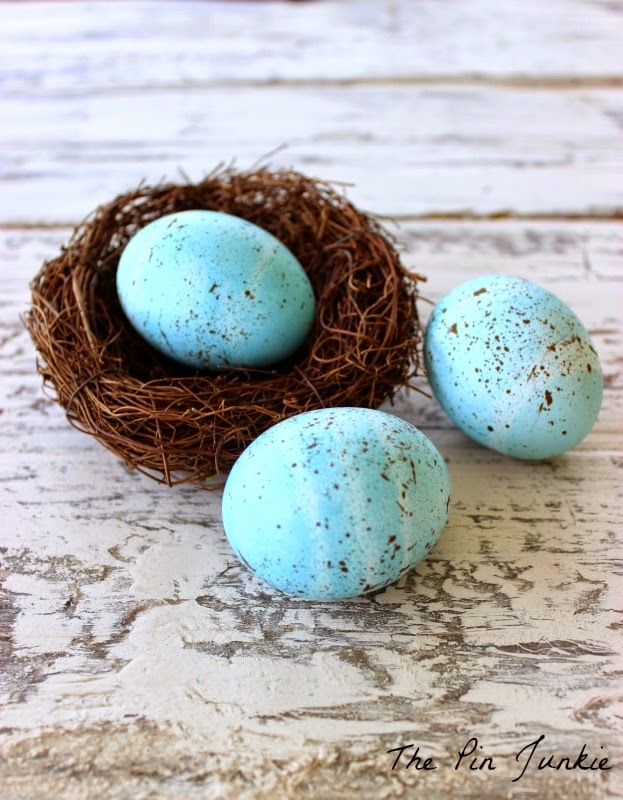 Thanks so much for featuring my speckled Easter eggs! Our pleasure, Bonnie! Thanks for sharing them with us! Thank you so much for the feature! I am so glad to join you! Thanks for hosting. We Loved featuring you, Sherry! Please come back and join us again!